I’ve withheld comment on the shooting in New Zealand until the dust settles somewhat, mostly because the history of things, particularly recent history, is that the usual suspects will be trying to bend these events to their own political matra… And it invariably ends up being something far different, in the end. Sadly, this situation is no different. Well at least the moron did us this favor…. he exploded, at least temporarily, the idea that leftists and socialists cannot be racist. Given the number of times that argument comes from the left, it seems important. Then again, perhaps it’s worth noting also as my co-blogger DavidL did earlier, that “Muslim” is not a race, and that, as I have so often said before, 99% of what gets passed off as race issues are actually cultural issues….and this is a point that the left on a worldwide basis almost invariably misses. So, I wonder if labeling this as an issue of race as the attacker did, isn’t running away from the real problem, here. Or, at least, a case of pushing the right buttons to gather attention, and promoting one’s own politics. I consider it no small point that while many are calling this a racist attack, that in fact race had nothing to do with it. If this was a racist attack, wouldn’t he be attacking black people in general for example? Would he have problems finding racial minorities simply walking the streets? No, he went to a mosque. He was attacking Muslims. More, He was attacking not religion, not a race, but a culture. More than granted, it’s difficult to separate the two since historically speaking, religion has always been a cultural driver… Usually the largest…. Regardless of what culture you’re talking about. As a practical discussion point, I have often made reference to the fact that these United States could never have been assembled with Islam or any of the pantheistic religions, or for that matter atheism, as its philosophical foundation. The culture that would come from such would never have supported the idea of the value of the individual. That value took the Judeo-Christian ethic, and within that, Martin Luther, to bring America’s founding ideas and ideals into reality. Those ideas, those values which respect and extol the value of the individual are “baked into” our culture, and that of most of the West. I say this because the values espoused by the attacker clearly have no respect for the individual, the usual claims from The Usual suspects about how this guy was a right-wing radical notwithstanding. He calls himself an “Eco-fascist,” one who combines environmentalism, racism and authoritarianism into one repulsive package. In his mind the world is dying from over-population, but over-population of the “wrong” kind. He hates capitalism, free markets, and free trade but he loves the Communist Chinese government and fascism. He takes the racist rhetoric of Donald Trump and mixes it with Marxist rhetoric about the poor workers of the world. So what is in fact happening here? One of the consequences of the terrorist attack on Christchurch mosques will be an reinvigorated effort by the left to silence and censor speech and debate on topics they consider out of bounds. We on the right of politics are used to being routinely and reflexively branded as racists, bigots, Islamophobes – indeed fascists – for criticising various aspects of the left’s multicultural project, open borders migration policies, identity politics and other progressive orthodoxies, or for generally venturing to discuss topics like demography, culture, social cohesion, free speech and individualism. But when a genuine, authentic fascist commits a mass atrocity, expect a major and concerted effort to browbeat the mainstream right into silence and submission on the ground that our rhetoric and arguments are mainstreaming hate and radicalising terrorists. “Mainstreaming white nationalism” is as spurious as “mainstreaming Muslim terrorism” and is a recipe for quarantining massive areas of foreign and social policy from any discussion – which is coincidentally what the large sections of the left want to achieve, as long as their views on a whole range of topics are tacitly accepted as the orthodoxy, the status quo, the norm that cannot be challenged. Well, I’m going to challenge it. Let’s start off by pointing out the massive double standard being applied here. 49 “Gay” Americans are killed in Florida, and to my memory, nobody blamed then-POTUS Obama. A pro-communist/ pro-facist kills 49 Muslims in New Zealand, and the left loses their collectivist minds, and blame Donald Trump. All kinds of tolerance for Omar and her overt anti-Semitism, and her head scarf, but none for MAGA hats? Then of course there’s the ongoing ISIS attacks in the Philippines about which you’ll hardly see a thing in the press. You have to go to news sources outside the country for that. There are reasons behind all this bias, and certainly a reason for the attacker to do what he did. 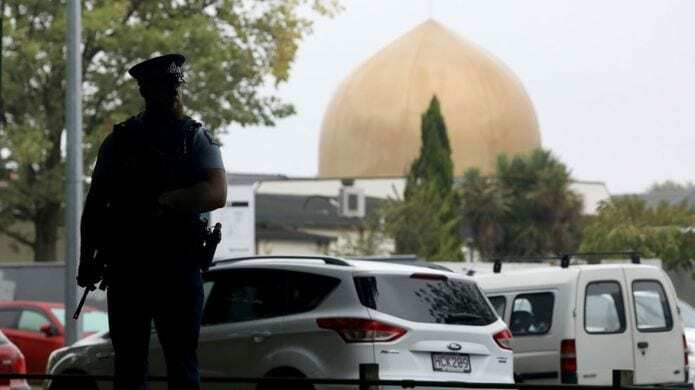 One of the biggest lies we hear whenever there is a mass terror attack, such as the one against New Zealand’s Muslims, is that the killing was “senseless.” It’s not without reason when ISIS does it, and it’s not without reason when people like Brenton Tarrant, the alleged NZ shooter, do it. The acts are evil, but not senseless; there is a rationale for what they do. To be clear: do NOT read me as saying Tarrant’s acts “made sense” in the general sense of the term; I’m speaking narrowly here, to mean that causation is at work. We need to know this so we can better combat things like this. Indeed, causation is precisely why I held off on commenting on these matters until today. Problem solutions by definition require proper problem identification. He wants the US to be balkanized into warring racial and regional factions, to destroy the ability of the US to project power around the world. He was radicalized by traveling in Europe and seeing immigrant crime, by seeing how many immigrants are present, and how the dispirited native populations are dying out. Overcome by emotion, he decided that he must do something about it. He said he chose the firearms for his attack specifically to incite an argument within the US, leading to the left attempting to confiscate guns, thereby starting a civil war. He’s talking about the crime perpetrated by Muslims of course. He just doesn’t have the stones to say so. Again… If this was a racist attack, wouldn’t be attacking black people in general for example, be more effective to that end? Certainly, there are no shortage of minorities outside the mosques. No, he went to a mosque. Dreher, I’m afraid, doesn’t have the stones to correctly identify this situation either. No surprise there… to some degree we’ve all been beaten down into submission over that sore point. But the larger goals that Dreher lists here, are nigh on impossible to label as anything but extreme left-wing. Also, as reprehensible as the act was, there is causation and a logic behind it that is undeniable. As an example, consider the call from the Prime Minister in New Zealand for tightening of gun laws there. Clearly, the attack was effective to that point at least. I suggest that the attacker knew that was precisely what was going to happen when he started those attacks… that the attacks would give credence and leverage to those seeking World socialism, the elimination of private firearms for self-defense and so on, and that certainly into doing it would create a less powerful United States. And make no mistake, the concept of attacking Muslims in a town called Christchurch was quite intentional. Imagery is everything when you’re trying to kick start a movement. This too, while reprehensible, is also quite logical. This is not an attack based on race… this is an attack based on culture for the purpose of left wing political pursuits. It’s really that simple. And of course the American Press, who has long held those left-leaning ideals as well, jumped right into the fray and helped to promote that nonsense. Anything for the cause, after all. That perhaps, is more reprehensible than the act itself. They have succeeded in giving the monster of Christchurch a voice that he would not have had otherwise.